Having trouble with employees leaving trash around the breakroom after they have eaten lunch? 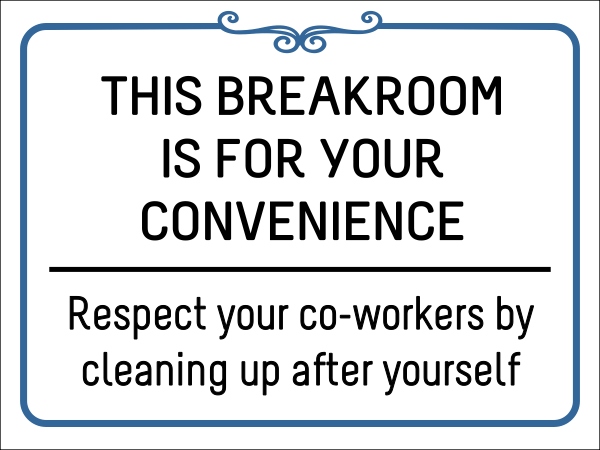 This 6" x 8" vinyl sign will remind them to be respectful & clean up after themselves. Remind them that the breakroom is for their convenience. For indoor or outdoor use if you have a break area outdoors. Lamination is recommended for any outdoor use.